The Better Apartments Design Standards have been introduced to improve the liveability and sustainability of apartments across Victoria. The standards were developed in consultation with community members, architects, planning and design practitioners, technical experts, the development industry, councils, and state government agencies. The Better Apartments Design Standards were implemented in the Victoria Planning Provisions and all planning schemes via Amendment VC136 on 13 April 2017. The Apartment Design Guidelines for Victoria assists applicants, architects, building designers and planners when designing and assessing apartment developments. The guidelines explain the apartment standards and provide guidance on matters to consider when assessing the objectives of the apartment standards. The guidelines will also support greater consistency in the assessment of planning permit applications for apartment developments. 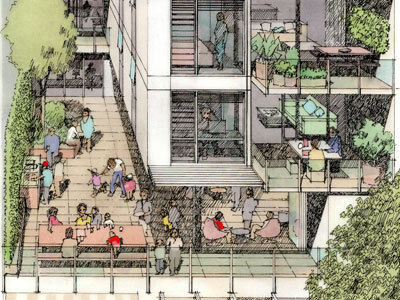 Planning Practice Note 83: Assessing external noise impacts for apartments provides guidance for assessing the noise standards and objectives and complements the Apartment Design Guidelines for Victoria. The Victorian ADAS offers free expert advice to assist developers and designers to comply with the Better Apartment Design Standards. Applications are now welcome! The Better Apartment Living Buyers and Renters Guide is available to help consumers make informed choices. 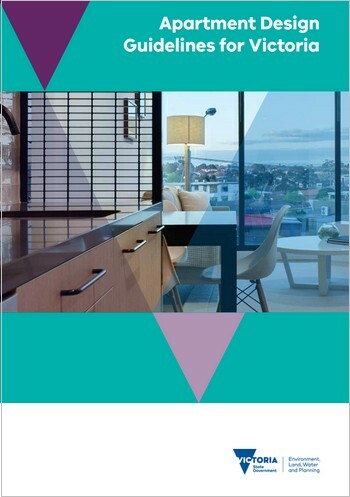 The guide contains tips to assist people when considering renting or buying an apartment, and contains links to further information including checklists and rental advice provided by Consumer Affairs Victoria.